Zheng Shusen, president of the First Affiliated Hospital, School of Medicine, Zhejiang University, former chairman of the Chinese Transplant Congress (CTC) and chairman of China Organ Procurement Organization Alliance, was also the chairman (from 2007 to 2017) of the Zhejiang branch of “China Anti-cult Association” (CACA), which is one of the Chinese Communist Party’s (CCP) important agencies against Falun Gong. Zheng Shusen’s academic paper that was retracted by Liver International, his another questionable medical papers and the phone investigation recordings of several doctors from the First Affiliated Hospital of Zhejiang University show that the hospital, of which Zheng Shusen is the president, is an important base for the CCP’s live organ harvesting of Falun Gong practitioners. And Zheng is suspected to be one of the major organizers in the live organ harvesting on an enormous scale and an executor of the persecution against Falun Gong practitioners. Also, evidence suggests that the member hospitals and individuals of the China Organ Procurement Organization Alliance headed by Zheng Shusen are also suspected of participation in the live organ harvesting of Falun Gong practitioners. Zheng Shusen was the chairman of the Zhejiang branch of “China Anti-cult Association” from 2007 to 2017, which was established specifically for the purpose of persecuting Falun Gong. The “China Anti-cult Association” is an organization composed of high-level CCP and government officials with religious and scientific expertise. All of the Association’s activities have the Party, the government and its media’s participation, and its members, with their religious and scientific backgrounds, publicly justify the CCP’s persecution against Falun Gong to both domestic and international society, study and implement measures on persecuting Falun Gong for the Chinese regime and concoct anti-Falun Gong theories. Furthermore, CACA has directly taken part in persecuting Falun Gong practitioners including forcing Falun Gong practitioners to give up their religious beliefs. Established in 2002, the Zhejiang branch of “China Anti-cult Association” is under the direction of the China Anti-cult Association formed in November 2000, and its main activities are to persecute Falun Gong. It claims to be a not-for-profit civil organization, yet it’s completely funded by the Chinese government. 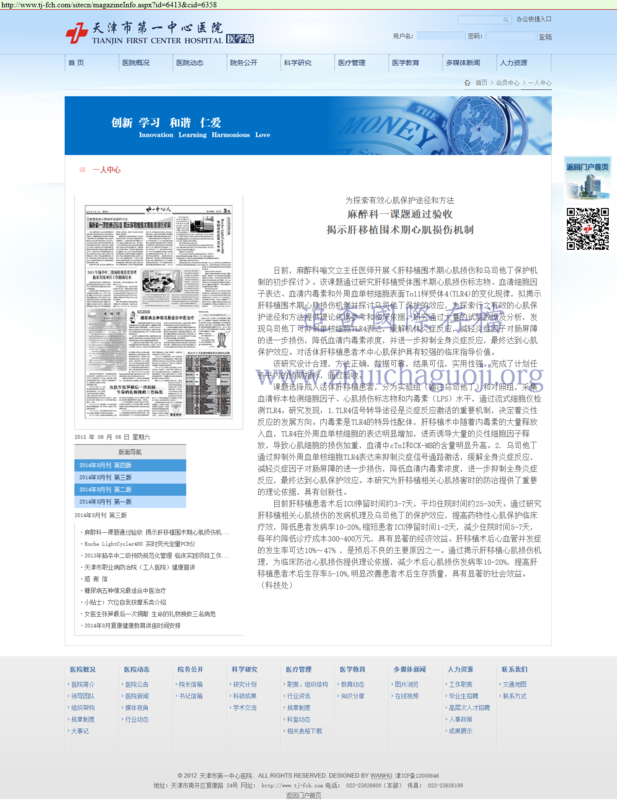 According to its official website (http://www.cnqjc.com) and the report by China Anti-cult Association on the work done by its Zhejiang branch, this branch’s activities include: the implementation of the CCP’s guidelines and policies against Falun Gong; carrying out the tasks given by the party and government in Zhejiang Province, including the assignments given by the “610 Office” of Zhejiang Province; the publication of books on theories against Falun Gong; the spreading of rhetoric hostile to Falun Gong through seminars, lectures, the Internet and social media; establishing and reinforcing the organizations against Falun Gong by holding workshops, sponsoring university/college events, and assisting the work of the county-level and municipal “Anti-cult Associations” within its jurisdictions; as well as assisting the “610 Office” in brainwashing Falun Gong practitioners and forcing them to relinquish their faith, by inspecting labor camps and prisons and by actively participating in “conversion” work and “social reintegration projects” targeting Falun Gong practitioners, etc. The majority of those Falun Gong practitioners, who have been persecuted to death, maimed or tortured, are due to their refusal to be “educated and transformed”. The “China Anti-cult Association” not only provides the CCP with theories in support of its suppression of Falun Gong, but also recommends systematic proposals for suppression to the CCP’s political and legal authorities. In November 2007, he participated in the national annual meeting of “China Anti-cult Association” in Hangzhou, as deputy chairman of the Zhejiang branch of “China Anti-cult Association”. In December 2009, he made opening remarks at a conference held by a grassroots organization affiliated with the Zhejiang branch of “China Anti-cult Association”, in his capacity of chairman of the Zhejiang branch of “China Anti-cult Association”. In 2010, he attended and spoke at the opening meeting of a student-cadre training course and the conference in recognition of model cadres sponsored by the “Anti-cult Association of Universities in Zhejiang Province”, as chairman of the Zhejiang branch of “China Anti-cult Association”. The purpose of that training course was to train future mainstay cadres to persecute Falun Gong practitioners. In 2012, he participated in a joint meeting of secretaries-general of the Zhejiang branch of “China Anti-cult Association” and made a keynote speech at the meeting, in his capacity of chairman of the Zhejiang branch of “China Anti-cult Association”. On January 17, 2013, his work report was presented on his behalf by Zhao Yue, deputy chairman of the Zhejiang branch of “China Anti-cult Association”, at the11th meeting of the second session of the Zhejiang branch held in Hangzhou. Zheng Shusen heads the board of editors of a book titled “Studies on the Prevention and Remedy of Evil Cults in the New Era -- A Collection of Selected Academic Papers”, which was published by China Science and Technology Publishing House in 2009. Why was Zheng’s paper retracted? The academic paper that Zheng submitted to TTS was not his only medical paper, which got him into trouble. Half a year later, Zheng’s another paper was retracted by Liver International. Liver International is the official journal of the International Association for the Study of the Liver. Upon receiving the letter, the editor-in-chief of Liver International asked two of the paper’s authors, Zheng Shusen and Yan Sheng, for credible evidence on the organ sources. However, they hadn’t responded, when the deadline of February 3, 2017 passed. As the magazine’s editor was concerned that the paper’s “data on the safety of liver transplantation involved organs sourced from executed prisoners”, he decided to publish the study on a print issue, but with a retraction statement, and to implement a “life-long embargo” on the two authors from submitting their work to Liver International. What’s behind Zheng’s paper retraction by Liver International? Wendy Rogers, a professor of clinical ethics at Macquarie University in Sydney, wrote a protest letter with two other doctors to Liver International, stating thatit was impossible for one hospital to have obtained so many useable livers from cardiac deaths alone during a 4-year period, since there were not so many voluntarily donated organs in China at the time. In the letter, Rogers wrote, “International programs report relatively low rates of procurement of livers from DCD (Donation after Cardiac Death) donors. In the USA, rates of liver transplant from DCD donors in the years 2012-14 were 32%, 28% and 27% respectively. If retrieval rates are similar in China, this would require 1,880 DCD donors, assuming a retrieval rate of 30%, to transplant the 564 livers reported in this paper”. A week after Liver International declared the paper’s retraction, Dr. Jiefu Huang, Chairman of the China Organ Donation and Transplantation Committee, said in an interview with The Paper, a Chinese state-owned digital news outlet, that his committee “supported the magazine’s decision, because Zheng’ s data are inconsistent with the facts”. 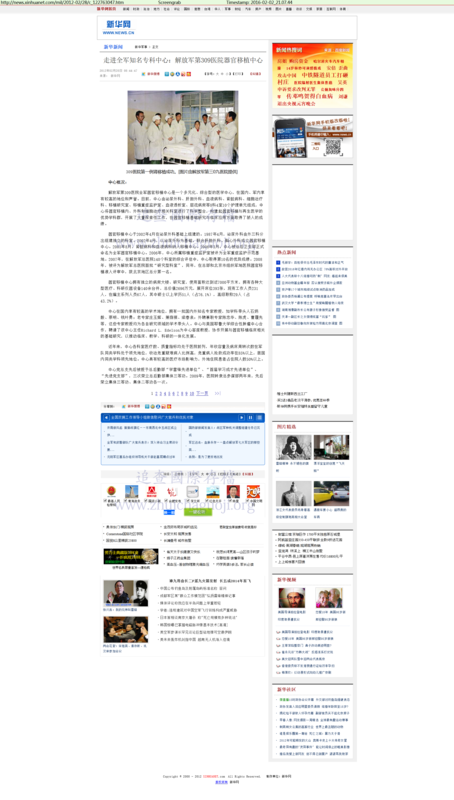 However, eerily, this article was soon deleted by the CCP government. WOIPFG has discovered that Huang’s statement in the article was unfounded. In the article, Huang claimed that during the period from 2011 to 2014, there were total 1,910 liver donations in the entire country. 166 of these livers were assigned to Zheng Shusen’s hospital, and that this number was much smaller than the 564 cases mentioned in Zheng’s academic paper. However, the CCP officially claimed that procuring organs from executed prisoners would be banned on January 1, 2015. So, the period from April 2010 to October 2014 was the so-called transition period from using executed prisoners’ organs to using voluntary donors’ organs. That is, organs from sources other than donations were still being used during this time period. Therefore, Huang Jiefu’s explanation of the fabricated data contained in Zheng’s academic paper based on the number of livers assigned to Zheng’s hospital is logically unfounded. Besides, Huang Jiefu has more motive to fabricate the number than Zheng Shusen. Zheng’s motive is to publish paper. The number of 166 cases of the liver transplants is large enough. Exaggerating the number was not necessary to help the paper being accepted. While Huang Jiefu, as the spokesperson for the “organ transplant reform” in China, faced the international pressure on the accusation of organ harvesting from live Falun Gong practitioners, has strong motive to reduce the number of the transplants performed. He had to use the “mistake” of fake data to cover up the real source of the organs. In fact, according to other data released by the CCP authorities, the organ transplantation volume was very large in China at that time. And the actual organ transplant volume was increasing and far larger than the 1,910 cases mentioned by Huang Jiefu. This can be proved by the following three pieces of evidence. According to Huang Jiefu’s own statement to the “Guangzhou Daily” in March 2013, the number of liver transplants carried out by himself in year 2012 alone exceeded 500 cases, among which, only one case was from voluntary donation. Huang was only one of thousands transplant surgeons in China at that time. It can be seen that the ward beds’ occupancy rate in the organ transplant center had always been increasing, exceeding the average bed occupancy rate of the entire hospital. And the average length of hospitalization for liver transplant in this hospital was 25-30 days. The average length for kidney transplantation was also within 30 days. Therefore, by calculating with a hospitalization length of 30 days per person for all liver and kidney transplant patients, a conservative estimation would show that if all the patients discharged from this organ transplant center were liver and kidney transplant patients, the number of discharged patients could reach up to 7,975 (=500×365×131.1%/30). During the same period, according to the data from the People’s Liberation Army No. 309 Hospital, the number of organ transplants at this hospital continued to increase substantially, and far exceeded the number of possible organ donations this hospital could receive. The gross revenue from medical treatments of the organ transplant center at this hospital increased from 30 million yuan in 2006 to 230 million yuan in 2010, a nearly 8-fold increase in five years.According to the hospital’s website, in 2010, the hospital’s organ transplant center had 316 beds”, and “the annual hospitalization capacity and the number of bed turnovers are in leading positions among the military’s similar disciplines”. In 2012, the Xinhua News Agency reported that there were “393 beds” in the organ transplant center of this hospital. Based on the conservative assumption that the bed occupancy rate is 100% (This is considered conservative, because the average bed occupancy rate of the Chinese Class A tertiary hospitals during the same period was 103%), the calculations below show the estimated number of organ transplants in this hospital. The Tianjin First Central Hospital’s Orient Organ Transplant Center and the PLA No. 309 Hospital are only two of the 169 organ transplant hospitals in China. Yet, the combined volume of their organ transplants in one year already exceeded the total annual number of organ transplants claimed by the CCP for the entire country (10,000 cases). An emergency liver transplant is an urgent liver transplant operation performed on patients with acute, serious liver problems and less than 72 hours to live. Due to the difficulty of urgent tissue typing, long waiting times, emergency liver transplants are rarely seen in other countries. Zhejiang Province didn’t participate in the organ donation pilot project, until August 26, 2010. So, it is obvious that these 46 organs could not have come from voluntary organ donations. These 46 organs could not have come from executed prisoners, either. The CCP’s organ resources from executed prisoners are scarce. So, each hospital would have its own several fixed prisons supplying organs from executed prisoners, based on the hospital’s location. Therefore, it is unlikely for a hospital to obtain organs from the prisons in other locations as the regular source. Furthermore, the organs need to be matched. On the one hand, executions take place according to their scheduled times and places, and it is almost impossible to satisfy the needs of emergency liver transplants. On the other hand, China had no national organ distribution network at that time. Under such circumstances, it is virtually impossible for the First Affiliated Hospital of Zhejiang University to procure a matching liver from a couple of prisons, which cooperate with it, within 72 hours. However, Zheng Shusen performed 46 cases of emergency liver transplantation during a 4-year period. Where did these donors come from? In China, in addition to the First Affiliated Hospital of Zhejiang University, other hospitals, which carry out a large number of emergency liver transplants, are commonplace. According to data from The 2006 Annual Report on China Liver Transplant Registration, 8,486 cases of liver transplantation were performed in 29 organ transplant centers from April 6, 2005, to December 31, 2006. Out of these, 4,331 cases had specified whether or not they were emergency transplants, indicating a total of 1,150 emergency liver transplants performed, or 26.6% of the total number of indicated cases. In one case, the patient received a liver transplant operation only four hours after being hospitalized.According to Huang Jiefu’s report, as of year 2006, China had carried out 10,502 cases of liver transplantation. The actual number of emergency liver transplants should be even larger. Executions of death row prisoners have to go through a rigorous judicial process. So, it is impossible for executed prisoners to satisfy the need of such a large number of emergency organ transplants. Therefore, the donor sources could not have been executed prisoners. In order to complete a large number of emergency organ transplants, it requires an enormous group of people, who exist independently from death-row prisoners, whose organs have been matched prior to the transplant operations, who have lost their freedom and can be killed on demand for organ transplants. That is, a living donor bank is needed. In China, only the large number of Falun Gong practitioners, who are being illegally detained by the CCP and have been forced to take blood tests on a massive scale, meet such requirements. At that time, China did not have a unified organ distribution system. China Organ Transplant Response System (COTRS) started its online trial operation in 2011. In August 2013, the National Health and Family Planning Commission of the Chinese Communist Party promulgated the “Administrative Regulations on the Procurement and Distribution of Human Donor Organs (Trial)”, only after that the status of COTRS as a mandatory national system was clarified. The evidence above proves that the CCP has a large living organ donor bank, which is independent from the death-row prison system, and the individuals inside this organ donor bank have already taken blood tests previously to determine their HLA types. And they can be slaughtered at any time according to the need for organ transplant operations. The First Affiliated Hospital of Zhejiang University is also the home of a key laboratory for the studies and research on the topic of joint multiple-organ transplant – a research project of the Ministry of Health. The laboratory was founded in March 2011, and it is the largest transplant center in East China and has become one of the largest organ transplant centers in China. In addition, Zheng Shusen has also founded a private hospital, which is called Zhejiang University International Hospital (aka Shulan Hospital), and the abundant supply of organs as well as the short organ wait times at this hospital cannot be explained by organ donations alone, the same as in the case of the First Affiliated Hospital of Zhejiang University. According to WOIPFG’s investigation, the First Affiliated Hospital of Zhejiang University is one of the most significant bases in harvesting living Falun Gong practitioners’ organs. Nurse on duty: “Our hospital performs several thousand cases every year. Zheng Shusen is our chief physician. We even had living donors.” When asked by the investigator whether or not they could use organs from “living donors”, the doctor told the investigator to hurry up and register at the outpatient service. Zheng has also been the chairman of China Organ Procurement Organization (OPO) Alliance since its establishment on November 23, 2014. Huang Jiefu is this alliance’s honorary chairman. This alliance has been the most significant component of China’s state-run organ donation system since the authorities declared the abolishment of the use of organs from executed prisoners for transplants on January 1, 2015. Its major responsibilities include persuading people to donate their organs, storing organs, inputting data, and assigning, harvesting, transporting and transplanting organs, as well as providing patients with post-operative care. Zhu Yunsong, director of the Department of Urology at the General Hospital of Guangzhou Military Command of PLA, which is the first member of China Organ Procurement Organization (OPO) Alliance, has acknowledged the use of Falun Gong practitioners’ organs in transplant surgeries. A number of this alliance’s member hospitals have participated in trafficking human organs. According to reports by the CCP’s official media outlets, the General Hospital of Guangzhou Military Command of PLA has been involved in illegal organ trafficking, the PLA No. 304 hospital has participated in organ trafficking from 2010 to 2012, and the Third Affiliated Hospital of Sun Yat-sen University has even participated in the crime of murdering a homeless man to steal his organs. Three major central-government directly controlled municipalities, including Beijing, Shanghai and Tianjin, have the largest numbers of organ transplant hospitals and the largest numbers of organ transplants in China, but their numbers of donated organs are extremely limited. In December 2015, when the CCP announced that all the organs used in transplant surgeries came from donations, Beijing, which had as many as 20 large-scale organ transplant hospitals, hadn’t even established one organ donation office. Zheng Shusen is one of the principal doctors, who have participated in the live organ harvesting of Falun Gong practitioners in China. He is also one of the main organizers of live organ harvesting of Falun Gong practitioners in China, and this is closely related to his leadership position in an organization, which has played a significant role in the persecution of Falun Gong. Hangzhou Municipal Science Writers Association. The key anti-cult topic in Hangzhou “A Discussion on The Social Foundational Relationship Between Building A Healthy and Harmonious Society And Modern Cultists” thesis was compiled by the Editorial Board of “Studies on the Prevention and Remedy of the Evil Cult in the New Era - The Selection Of Academic Papers” in which Zheng Shusen, a member of the Chinese Academy of Engineering, was the chairman and director of the Zhejiang Anti-cult Association. Published by China Science and Technology Press in 2009. Fu Zhiren, Ma Jun. (2006, Jun.). Prognosis Factors and Treatment for Serious Hepatitis Emergency Transplantation. Journal of Clinical Surgery June 2006, Volume 14, Number 6. Liver and pancreas surgery department of Zhengzhou People’s Hospital. “Zhengzhou People’s Hospital liver transplantation expert’s detailed explanation”. May 20, 2014. Wang, Yingying. “Jiefu Huang Talks About an Academician’s Medical Paper Being Retracted due to Organ Source Suspicions: Seeking Truth from the Facts and Promoting Transplantation According to the Law”. The Paper.February 12, 2017. Gao, Xiang, Zhou Xin, and Huang Ke. “China Organ Procurement Organization Alliance Announces its Establishment.” ScienceNet.cn. November 25, 2014. Chinese Organ Donation Volunteer Registration Web. The Composition and Responsibility of Organ Procurement Organization.